The Ontario government led by Premier Kathleen Wynne has shown enough promise in its throne speech to gain limited support from one opposition party, but the other says it is time to "change the team" at Queen's Park. Ontario Premier Kathleen Wynne's minority Liberal government presented a legislative plan Tuesday that won the temporary support of the NDP, ensuring its survival for now. New Democratic Party Leader Andrea Horwath said the throne speech was vague, but showed some promise. "We're prepared to let this throne speech go by, we’re prepared to pass it," Horwath told reporters. According to the speech, the governing Liberals intend to remain focused on creating jobs and improving the economy, while ensuring that opportunities are extended to all Ontarians. 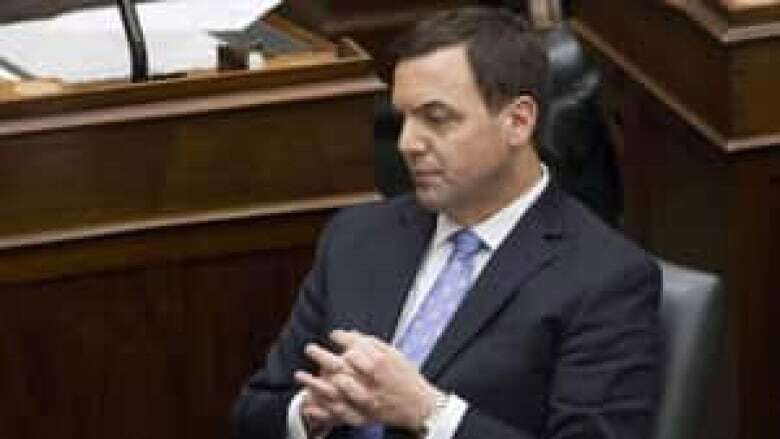 Progressive Conservative Leader Tim Hudak quickly said the plan for governing that was outlined in the throne speech will simply "entrench the McGuinty agenda" and as such, his party cannot support it. "I think it’s clear we are not going to be supporting the throne speech," he said. Horwath said the Liberals must show action on key issues ahead of the coming budget, or else they will not see further NDP support. The Liberals need the support of at least one of the opposition parties in order to survive. After the recent resignation of two senior members of the government, the Liberals hold only 51 of the 107 seats in the Ontario legislature. In Tuesday’s throne speech, the government named fiscal responsibility, economic growth and increased employment as its "central objectives" at a time when Ontario has a $12-billion deficit and too many people looking for work. But the government says it will "ensure opportunity for all without letting anyone slip through the cracks," regardless of which part of Ontario they live in. The first throne speech from Wynne’s government reiterated its intent to work "in a spirit of renewed co-operation" with the two opposition parties whose support is needed in order for the Liberals to stay in power. The government believes that the three parties are not "irreparably divided," and must work together for the benefit of Ontarians. But the remarks from opposition leaders later in the afternoon suggested that they have limited patience with the government. Tuesday's throne speech marked the beginning of the second session of the 40th parliament of Ontario. It was also the first time that MPPs had undertaken regular business at the legislature in more than four months. The legislature was prorogued last fall when former premier Dalton McGuinty announced that he was stepping down as Liberal leader. That triggered a leadership contest that ended with Wynne's victory at a Toronto convention last month, making her the first female premier in Ontario history. The government says it will "restrain spending" to help reduce the province’s debt-to-GDP ratio and recommit itself to eliminating the deficit by 2017-2018. After the budget is balanced, the government says, it will continue to hold down spending increases until the debt can be trimmed back to pre-recession levels. The government will continue to look at the hundreds of recommendations laid out in last year’s report from Don Drummond, including taking a closer look at corporate tax compliance. In terms of its plan for job creation, the government wants to work with the non-profit and private sectors to help get young college and university graduates into the workforce, as well as unemployed Ontarians and new Canadians. It also wants to "join forces" with public and post-secondary schools, as well as employers, in order to get young people the skills and experience they need to enter the workforce. The government also wants to ensure that aboriginal communities have access to the training, education and necessary support "to fully participate in economic development opportunities" in Ontario. "Your government will ensure that all individuals can find their role in this economy," according to the throne speech delivered by Lt.-Gov. 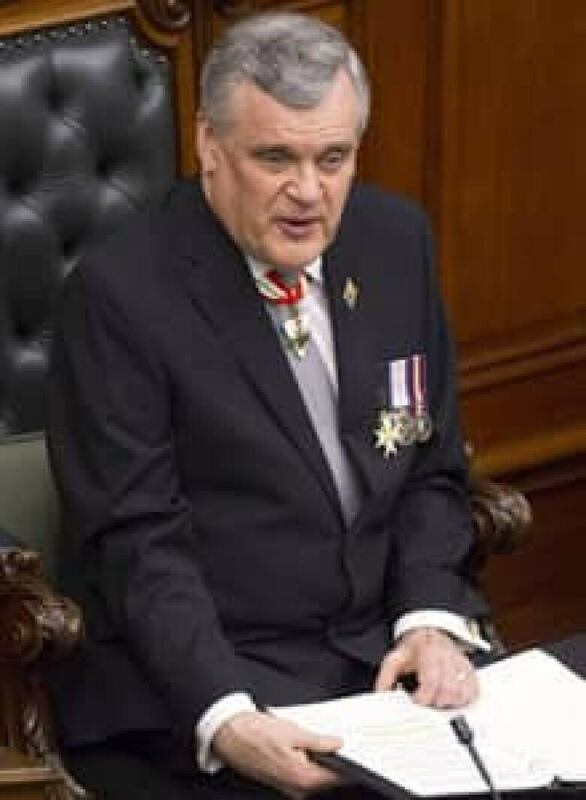 David Onley on Tuesday afternoon. The government says it is time to begin a "serious conversation" with Ontario communities about the infrastructure they need to thrive. That includes the building of bridges and roads, undertaking repairs and planning transit. In the throne speech, the government makes the case that Ontarians "can no longer afford to waste their time stuck in traffic" and thus investments need to be made to alleviate transit problems. But the governing Liberals realize that the public expects results. "The new government is confident that the people of Ontario are willing to participate in a practical discussion of these costs if they can be guaranteed measurable results." Improving transit will require working with different levels of government, which the Liberals say will require them to "engage in conversation with its municipal and community partners" and also to reach out to provincial and territorial colleagues. The government says it will address "the need for improvements to rural roads and bridges, suburban transit, and a solution to the gridlock that threatens to cripple the Greater Toronto and Hamilton Area." It will also address "the special transportation needs" of northern Ontario and will take efforts to "improve the flow of people and goods along our trade corridors to the United States." The government is also promising Ontario municipalities a greater say over the placement of casinos, quarries, wind farms and power plants. "Because our economy can benefit from these things, but only if we have willing hosts," the speech said. After seeing its relationship with public school teachers erode in recent months, the Liberals have begun trying to build bridges between their unions and the government. The government imposed two-year contracts on public-school teachers in early January and then repealed the legislation that gave them the power to do so. But many public school teachers have withdrawn from involvement in extracurricular activities, a situation that the Liberals have been scrambling to reverse. Wynne quickly reached out to the leaders of teachers' unions after taking the reins of the Ontario Liberal Party in hopes of starting a dialogue to improve the situation in the public education sector. The premier has also appointed Liz Sandals as the new education minister, telling reporters she is the right person to take on the job given the current circumstances. In the throne speech, the government said it will "show its respect for teachers, support staff, principals and school boards," in an apparent allusion to the events that occurred in recent months. However, Sam Hammond, the president of the Elementary Teachers' Federation of Ontario, appeared cool to what the government had said. "I didn't hear anything in particular in the throne speech that gave me any sense of encouragement or hope," he said.